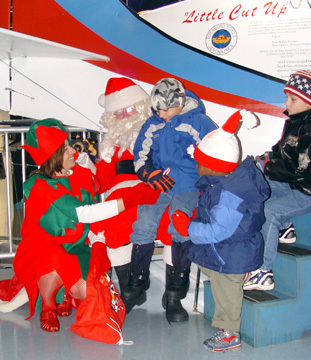 Santa departed the North Pole at midnight and arrived at 11:00 a.m. on Saturday Dec. 10, 2005 at the Aviation Hall of Fame. 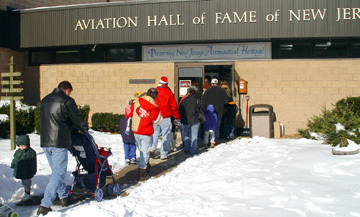 Before landing, Santa flew around the Aviation Hall of Fame, waving to his loyal fans. 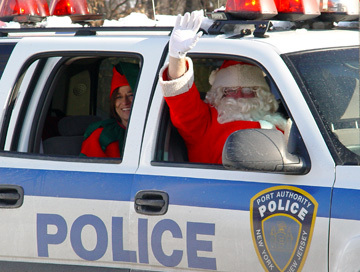 Upon landing safely, Santa was escorted by the Port Authority Police to the parking lot where he was greeted by many well wishers. 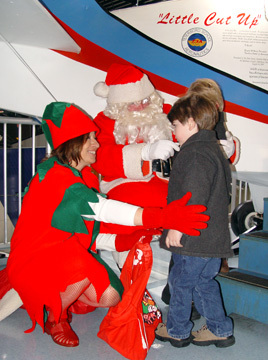 Santa entered the Museum and went upstairs where parents could take photos of their children with Santa in from of the airplane, "Little Cut Up." 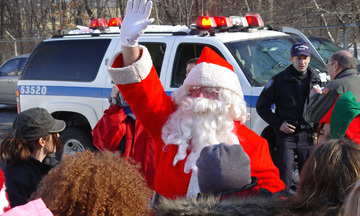 Upon hearing the children's request, Santa had candy and gifts for them. 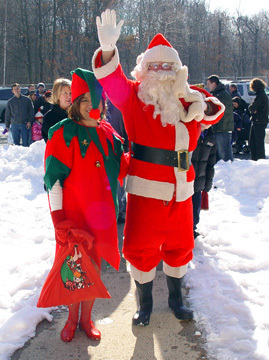 After meeting Santa, families had an opportunity to tour the Museum. 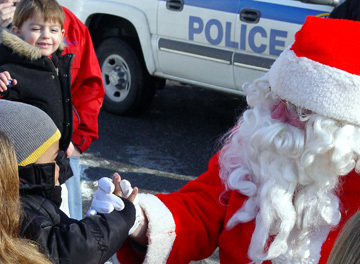 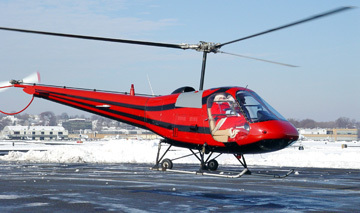 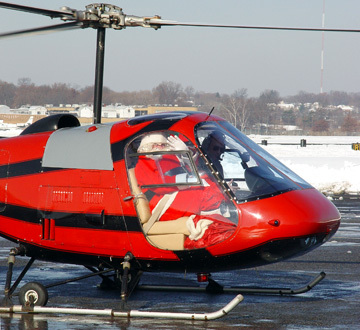 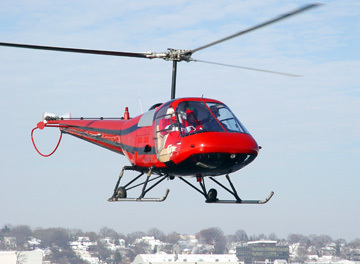 The visit of Santa Claus is presented annually by the New Jersey Aviation Hall of Fame & Museum, located at 400 Fred Wehran drive on the east side of the airport.